Dr. Peggy Fong is a Professor in the UCLA Department of Ecology and Evolutionary Biology. 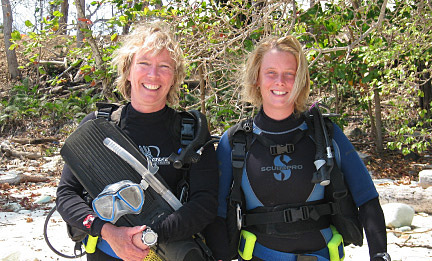 Her main research interest is disturbance ecology, assessing the importance of disturbance in controlling community structure in three very different ecosystems: algal communities in estuaries and lagoons in southern California; coral and algal communities in coral reefs of the Florida Reef Tract; and coral communities in the Eastern Pacific. Peggy's drive to make connections between science and everyday life began right in her own Wisconsin backyard, doing research for a high school science project that looked at whether huge blooms of weeds in a local lake were caused by lawn fertilization. Her work caught the attention of local politicians, who enacted regulations about fertilizer use. "Right from the beginning I saw the importance of presenting science to the public and policymakers to educate people to deal with significant environmental issues," says Peggy. "I love seeing the light go on in people’s eyes." In addition to her research, Peggy's other passion is education - whether working with undergraduate and graduate students or the public. She reaches new audiences through her work with COSEE West and her collaborations with coastal managers. She is Vice-Chair for Undergraduate Studies in her Department, serving approximately 1,600 students with 3 majors. Her goal is to give everyone the experience of doing research. "Because then you know why, what it takes to learn things and be involved in the process of generating new knowledge," says Peggy. "It’s exciting and inspiring." Photographs and images for Peggy's pages courtesy of Peggy Fong and COSEE West.